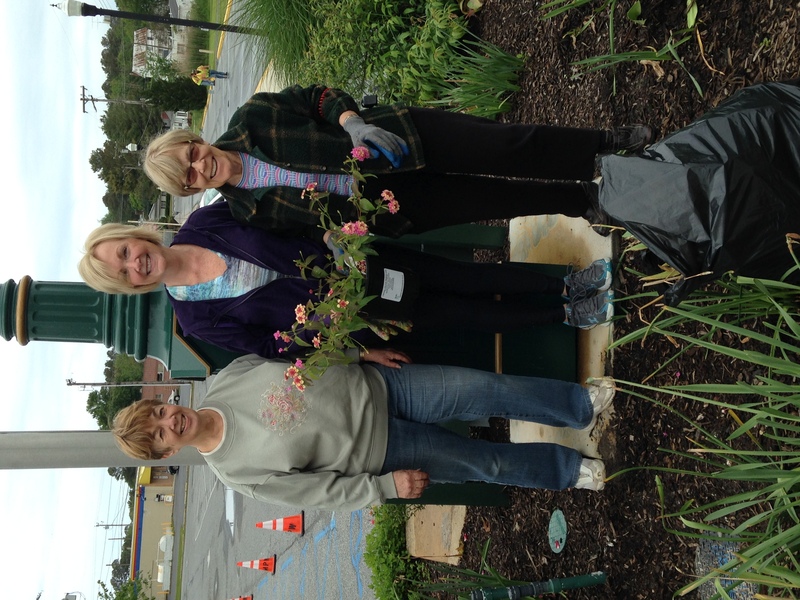 The Milton Garden Club | A garden is a friend you can visit any time. A garden is a friend you can visit any time. The Milton Garden Club a formal group of volunteers, women and men, dedicated to the beautification of the town of Milton through horticulture. 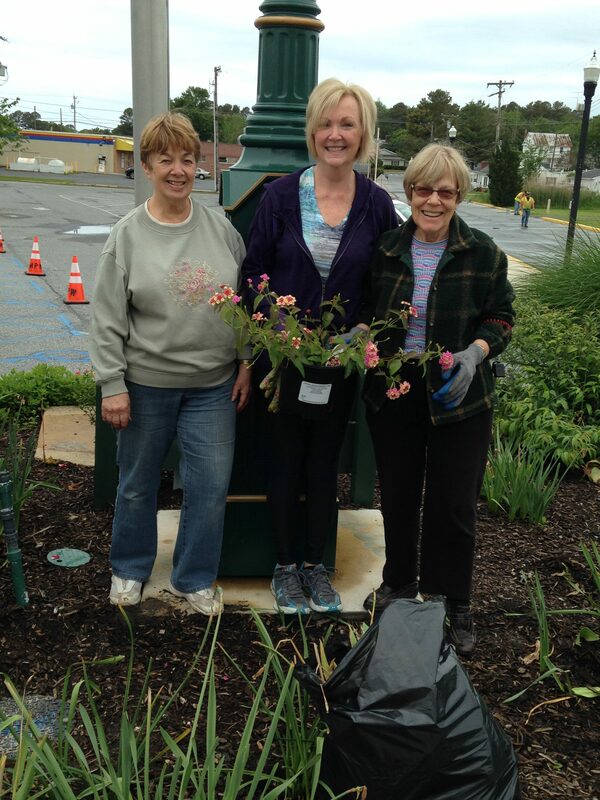 The MGC is a working garden club with members planting, weeding and watering the gardens and planters throughout the town of Milton and raising money to support these efforts. 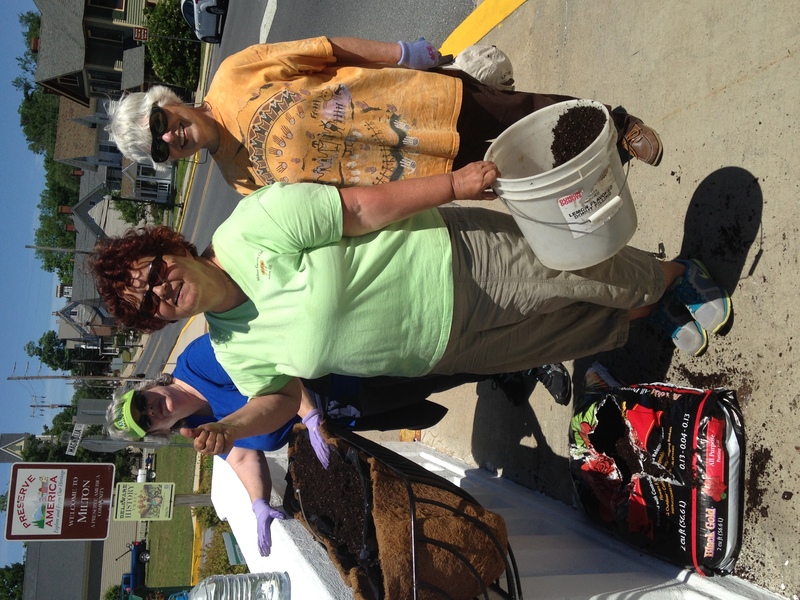 The membership is comprised of longtime residents and newcomers with a wide variety of interests and expertise from beginning gardeners to Master Gardeners. The club’s motto “Weed ‘n Feed” came about because the monthly meetings are always preceded by a pot luck supper. Jane Clark esablished the Milton Garden Club (MGC) in 1998 with the dream of “putting the town on the map with flowers.” Beginning with three gardens, the club now maintains 10 gardens and over 50 planters. Some of the major projects the club has undertaken through the years include the purchase of the decorative iron fences around the tree wells on Union and Federal Streets donated to the Town of Milton, a walled garden in front of the Milton Public Library, landscaping the memorial gardens around the gazebo in Milton Memorial Park, addition of irrigation throughout the gardens, and through fundraising efforts purchased the new Victorian Town Clock. On July 25, 2015 the formal dedication ceremony was held with State and local dignitaries in attendance when the clock was turned on. 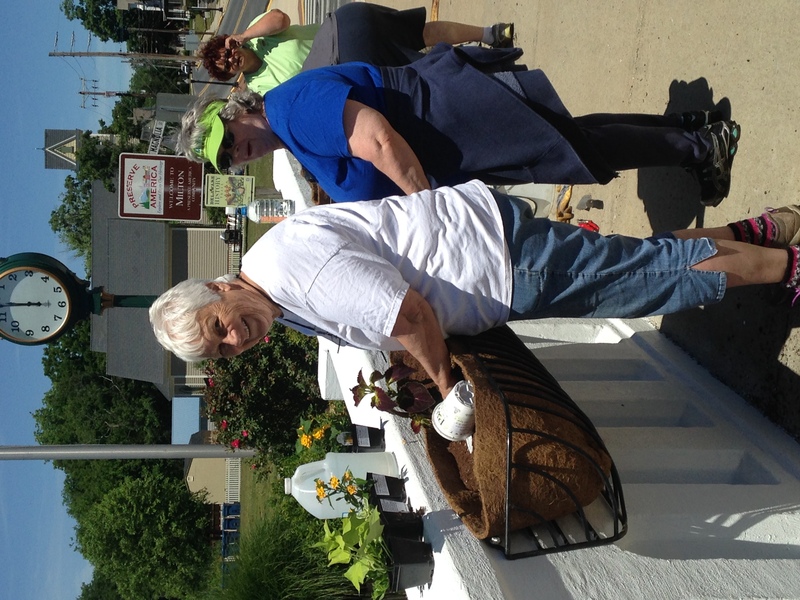 Club members raise funds to purchase plants and gardening materials for the gardens and planters, in addition to caring for them. The club’s participation in the Milton Holly Festival held each year on the second Saturday of December is the largest fundraiser. Members of the club make Williamsburg style magnolia and boxwood wreaths and evergreen wreaths and arrangements in the days leading up to the Holly Festival with fresh greens donated by members and friends. 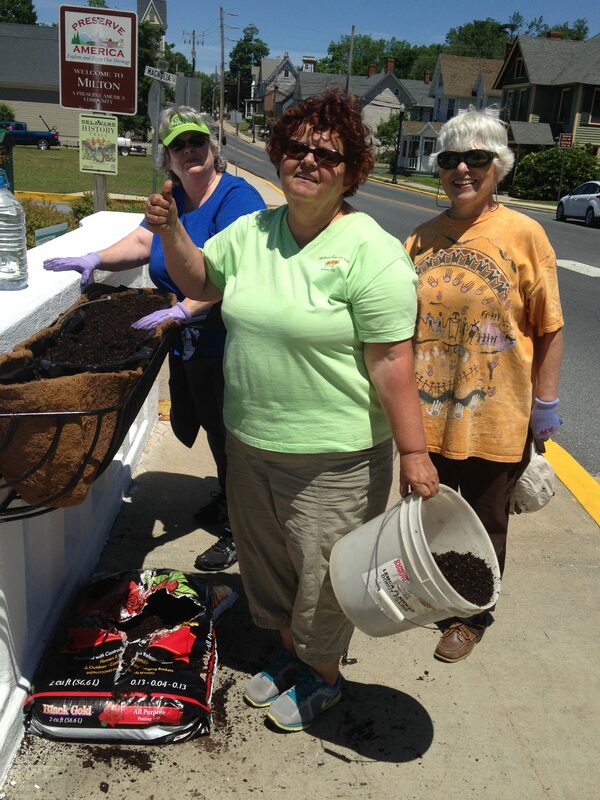 Throughout the year, the club participates in several other fundraising activities including the Milton Farmer’s Market, the Horseshoe Crab Festival, Lavender Festival, and various raffles. The club is a registered nonprofit corporation in the State of Delaware a 501(c)3 status with the IRS. Spring Planting! We welcome new members and invite you to join our club! Membership Meetings are held the 3rd Thursday each month, 6:00 p.m. The Milton Garden Club, Inc. is a 501c3 charitable organization and is eligible to receive tax-deductible contributions. 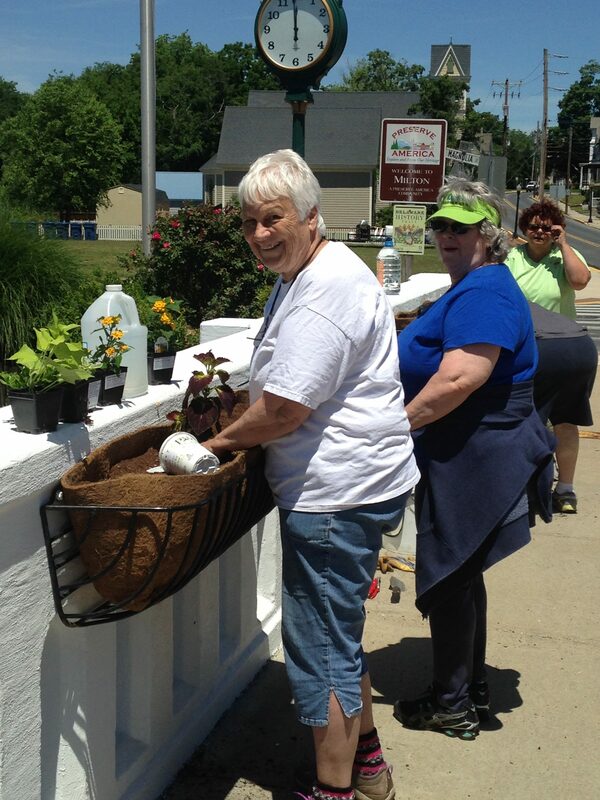 Searching for another garden club's website? Go to www.GardenClubDirectory.org for the Web's most comprehensive Garden Club Directory.